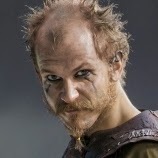 Floki is named after trickster god Loki by joke because Michael Hirst the writer liked it that way. But he is also named after the fantastic navigator and boat builder Flóki Vilgerðarson. In the first season we see how Floki is introduced to us and young Bjorn the son of Ragnar. We see how he develop boats and how he choose wood. He is also the healer of Ragnar during that season. The real Flóki Vilgerðarson found Iceland as first Norsemen. His navigation was found with ravens. When the raven didn't return there was land ahead. He also went to the Shetland and Faroe Islands. Is more a director then actor that is what he thinks of himself. In my opinion he is good at both. He is the more experimental one of the Skarsgård family almost every family member is actor. He has grew up with acting. 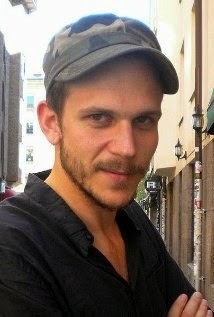 He is more known in Sweden where he did plays like Hamlet. Lots of TV productions and shorts but after his part in Vikings and Kon-Tiki he is also known over the world.